If you have been following closely with TecMint, you might be aware that just recently we’ve launched our new deals shop. The shop includes all kind of gadgets, online courses, software downloads, games and many more. After the successful start of the shop, we are now excited to giveaway a free 64GB 4th generation Apple TV to our Tecmint readers. 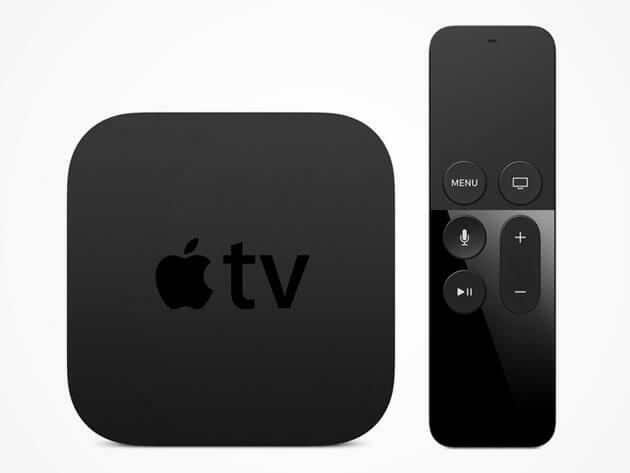 For those of you who don’t know what Apple TV is – this is the future of television. It’s a small home entertainment device that connects to your TV via HDMI cable. It’s allowing you to watch thousands of movies, TV series, review photos, videos and even play games. There are thousands of applications available for this device and there are plenty more to come soon. The forth generation (and currently the latest) Apple TV comes with a smart remote control called “Siri remote“. The controller includes a touchpad for easier navigation and also accepts voice commands that are passed to Apple’s virtual assistance – Siri. You can use both your phone or the Siri remote to control the device and play games. We promise that with this little piece of technology, you will never get bored! Christmas is near so we have decided to place a free giveaway for our most dedicated readers. Winning is simple – The rules of the contest are simple, head to the contents page and register using your email address or Facebook account. You can share the news about the giveaway on Twitter. Once you get more friends to signup for the contents, you will receive more entries and therefore better chance to win the contest and also don’t forget to add your opinion about this giveaway in the comment section. Please note the best comment will have more chance to win this contest…. We wish good luck to all! One registration per person please! TecMint.com is a website that publishes practical and useful out-of-the-box articles for aspirant like you and me. We seek to present exceptional, remarkable tips, tutorials, and resources that the modern web professional will appreciate. Just how sweet Learning Linux for free on Tecmint from guides, HOW TOs, tutorials and a discussion forum linuxsay.com now turns into shopping deals and now a wonderful freebie for exceptional readers among the Tecmint community. Winning this would be awesome for me.